Wood burning, or pyrography, is one of our favorite DIY crafts, and trust us when we say we’ve spent hours and hours looking at the same wood slice wondering what on earth we were going to make into it. Fortunately, wood burning doesn’t have to be a source of existential and artistic angst. With the right tools and some solid ideas, you can get to work in no time. And although it takes some amount of time, energy and practice to really hone your craft, you can start with beginner projects that are easy to tackle from the start. 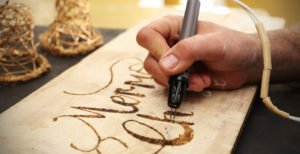 Below, you’ll find our most popular woodburning articles, with information about how to learn more about the craft. 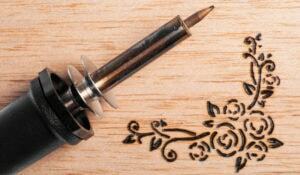 We’ve also included links to additional resources that we found helpful while learning the fine art of woodburning. 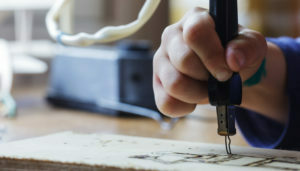 From tools that focus solely on wood burning to multi-function tools that allow you to do more, we've covered some of the best pyrography pens and tools on the market. Whether you're a beginner or seasoned wood crafter, you'll find options that meet your skill level and budget. Once you've found the right tools and have all your supplies at hand, it's time to tackle your first project. Here, we've listed some of our favorite projects that allow you to get creative and free with what you're doing. No need to stay inside the lines here: it's all about expressing your creative side and making something fun. Now that you have some ideas under your belt, it's time to focus on good technique. 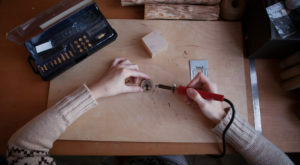 Here, Chelsea Wells tells us a little about how you can make the most of your wood burning time and practice by using proper technique and tips to make wood burning work for you. If you like wood burning but want to have something structured to work from, here's a collection of some of our favorite free, printable wood burning patterns. You can print them out, use graphite paper to put them on your wood of choice and from there burning your pattern is a breeze. If you're looking to transfer a pattern to your wood, there are several options to make things easier. Learn about the techniques we use when transferring patterns to different types of wood products. Learn the best ways to clean your wood burning equipment so that your supplies stay safe and effective for many years of projects and continual use. Below you’ll find a list of links, articles and resources that we found helpful while learning wood burning. 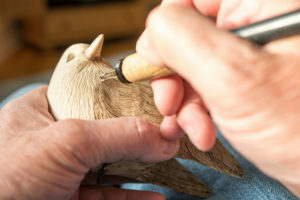 You can also find plenty of more ideas, techniques and advanced wood burning projects by searching sites like Pinterest, where many people upload pictures of their latest pyrography accomplishments.